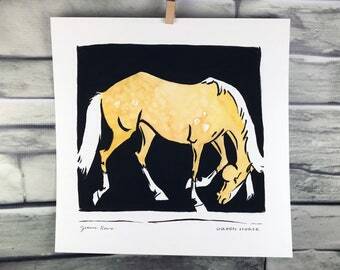 This is an original watercolor and ink painting of a fuzzy palomino with a lot of character. 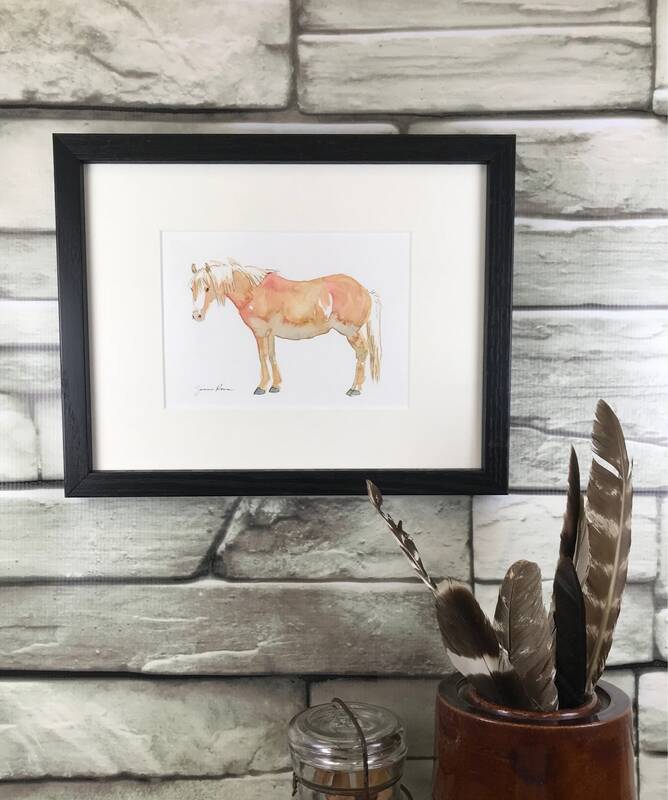 Perhaps you know a horse or pony like this one? The subtle hues in this piece are more visible in person. This original art piece is approximately 5 x 7 inches on heavyweight textured watercolor paper. It is framed in a simple black wood frame. Frame opening 8x10; overall size 9 x 11 inches. Beautiful work! Thanks so much Jeanne! 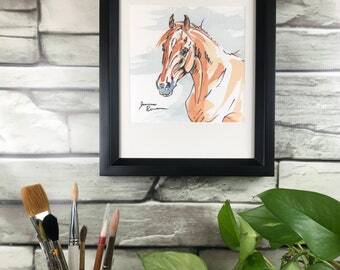 Horse art original watercolor painting - "Black and Blue Head Study"
I bought this for a grouping of three and had them framed. They look amazing!!! Beautiful work!! I had it framed and it looks great!! I love this sketch!!!! I had it framed and it looks fantastic!! !